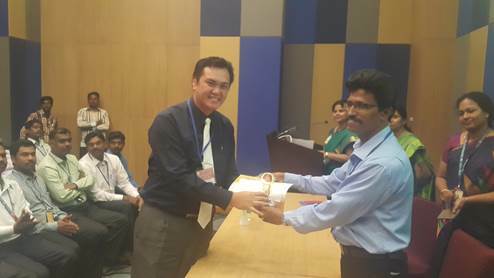 With great pleasure and pride we would like to share that the ‘Global Congress on Computing and Media Technologies’- GCMT 2015 organized by the prestigious Sathyabama University, Chennai, India in association with Asia Pacific University of Technology & Innovation, Malaysia (APU) from November 25th to 27th, 2015 was a great success. GCMT 2015 gave an opportunity for both the Universities to bring together researchers, developers and practitioners from academia and industry to share their research results and developments in area of Innovative Computing and Media Technology. GCMT 2015 received more than 500 papers in early submission and 240 papers were accepted. More than 85% of the papers were from international participants as far as USA, Africa, Singapore and UAE apart from Malaysia. All accepted papers in GCMT '15 will be published in Scopus/ Web of Science Indexed journals. It is also a pleasure to share that 11 APU Staff from the School of Computing & Technology presented their research papers in GCMT 2015 either by physically attending the conference or presenting through Skype sessions. We are also proud to announce that the paper presented by Mr. Daniel Mago, co-authored by Ms. Gayatri brought laurels to APU by winning the ‘Best Paper Award’ at GCMT-2015. GCMT-2015 was covered exclusively by most of the national and regional media channels/newspapers in Tamil Nadu. Most importantly, Doordharshan – the India National Television Channel covered the event, which was broadcasted all across India in Prime Time News. Mr. Leo Gertrude David, lecturer School of Computing was the initiator and the link behind our association with Sathyabama University. He had spearheaded this collaboration with Sathyabama to organize the entire conference representing APU. Academic Leaders Mr. Kamalanathan, Dr. Chen Tet Khuan and Mr. Naresh Kumar Appadurai represented APU in the event. 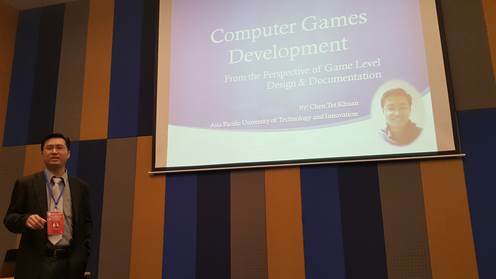 Dr. Chen Tet Khuan also delivered keynote address entitled "Computer Games Development： From the Perspective of Game Level Design & Documentation" and chaired one of the parallel sessions. Mr. Muhammad Ehsan Rana, Head of the School of Computing, provided overall leadership and guidance to the staff towards ensuring the overall success of GCMT 2015.